The home away home story structure is common in all stories worldwide, and is especially popular in stories for children. Developmentally, children are leaving to leave the house in preparation for leaving for good. Anyone who reads this blog knows that I am a fan of John Truby’s seven step plot structure — mainly because it’s easy to remember and actually universal. The frustration stage maps onto the Opponent, the Nightmare Stage maps onto the battle, the Thrilling Escape maps onto the very end of the Battle sequence. Escape and Return maps onto New Equilibrium. [T]he form of innocence described in many texts is one that suits adult needs. For instance, the small creatures in many generic stories leave home to achieve freedom, and then learn the wisdom of not doing so. Although they claim to be happy about their discovery that they are not capable of fending for themselves, their joyful acceptance of constraint seems to be wish-fulfillment on the part of adult writers who would prefer that children didn’t in fact wish for more independence. 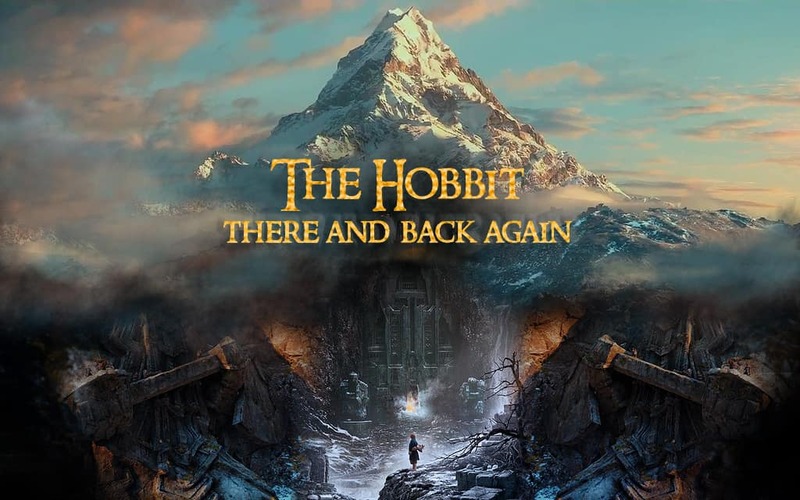 ‘There and back again’ is the subtitle of The Hobbit, and also the central pattern of movement in many children’s stories. 1. The Odyssean pattern: home is an anchor and a refuge, a place to return to after trials and adventures in the wild world. Home corresponds to Arcadia. This is the ‘here and back again’ pattern discussed below. But these categories are not mutually exclusive. The Wind In The Willows would be a mixture between all three patterns. A young creature/animal/object with human characteristics enjoys the security of a comfortable home until something happens to make it unhappy. The small creature leaves home and has exciting adventures. But the adventures turn out to be dangerous or as discomforting as they are thrilling. Having learned the truth about the big world, the creature finally returns to the security it at first found burdensome, concluding that, despite is constraints, home is best. A municipal bus becomes envious of the ‘great silver buses’ on the superhighway. After joining them, he becomes confused by the traffic, and, when he finally finds his way back, he concludes, as the title suggests, that home is best. 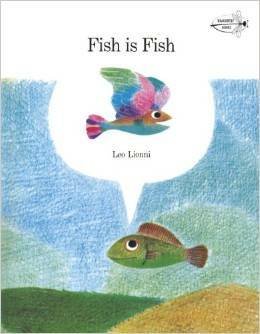 A fish is left behind in the pond when his childhood friend becomes a frog and goes off to see the world. When the frog returns with stories of glamorous sights, the fish resolves to leave the pond. After the frog saves the fish’s life by flipping the fish back into the water, the fish concludes that it’s better to stay at home. A duck avoids punishment for being the last to return to its home on a boat by staying out on the river. Caught by a boy, the duck is threatened with death. After escaping, he happily returns home despite the inevitable punishment. Ping and his extended family live on a boat on the river. They go out each day, and come back, and the last duck gets a swat on the back, so don’t be late — don’t be last. Ping, seeing that he will be last and hence swatted, stays out overnight. He’s caught by a family that wants a duck dinner, but the young boy of the family lets him go. The next day, Ping happily takes the swat as he runs up the gangway to his own boat. He’ll take that swat ’cause there’s no place like home. 1. Instead of deciding that one’s own home is good after all, a creature learns to be content with one’s own body. A daschund doesn’t like his unusual body, but comes to terms with it after witnessing diversity at the local zoo. 2. Instead of actually venturing out into the world, the creature imagines a journey out into the world, and this is sufficiently horrifying for the creature to learn that being home is the safest place. Where The Wild Things Are by Maurice Sendak — Max is sent to his room for being rowdy and imagines a voyage into darkness. The Boy Who Ate Around by Henrick Drescher — Mo, a little boy who doesn’t want to eat his dinner, turns himself into a series of ever-expanding monsters that eat virtually everything except stringbeans and cheese souffle, including math teachers and entire countries. 3. Instead of heaving a child leave home to confront danger, the book describes a child’s bedroom or home invaded by something that clearly belongs elsewhere. Skellig by David Almond — The main child character has recently moved into a new house. The shed in the garden is occupied by a strange creature. Treasure Island — jim Hawkins expresses boredom with the quietness of his home. After his exciting but dangerous experiences with pirates, he returns home convinced that nothing could make him wish for adventure again. From The Mixed-up Files of Basil E. Frankweiler — a brother and sister seek adventure by running away from home to the safe pleasures of the Metropolitan Museum and then return home again. Hatchet — Brian learns to survive the breakup of his parents marriage and his feeling of being isolated after he leaves home in a plane that crashes in the bush and leaves him literally isolated. Having experienced physically what he at first felt emotionally, he returns home with knowledge of his inner strength. Holes — A stay at a dangerous juvenile detention center gives Stanley Yelnats a completely new understanding of himself and the home and family he finally returns to. The Amber Spyglass — The two main characters return not merely to the homes but also tot he home worlds they each left earlier. In between, they learn much about why home might be a good place to be. Joey Pigza Loses Control — almost exactly replicates the pattern of Where the Wild Things Are. Joey takes a real voyage into the wildness of his father’s and his own hyperactive disorder, a voyage that ends when Joey decides he wants to return to the comfort of life with his mother. Sometimes, instead of a child leaving home to confront danger, writers describe a child’s bedroom or home invaded by something that clearly belongs elsewhere. In most of these stories the child is happy to have the calm restored at the end. Cinderella — and its many variants describe how children journey away from homes whose security or happiness have been disrupted and finally find a new home representing the old security elsewhere. Lisa’s War, Sworn Enemies, The Burning Time, Rebecca — all by Carol Matas. These stories all start in a peaceful place and end in a similar one. Harry Potter — the first four books start and end in a dangerous home and allow Harry adventures in what seems to be a more secure place in between. Hush by Jacqueline Woodson — a teenage girl’s family is forced to move interstate under the witness protection program. This story starts in an uneasy-dangerous place and ends in a slightly less uneasy one. Snow White — starts in a dangerous home, ends up in another castle, married to a handsome prince, this time happy. Pride and Prejudice is similar in that Lizzie Bennett’s financial situation makes her life precarious unless she gets married. She ends up in the slightly more modern version of a castle. At heart, despite its infinite variety, the hero’s story is always a journey. A hero leaves her comfortable, ordinary surroundings to venture into a challenging, unfamiliar world. It may be an outward journey to an actual place: a labyrinth, forest or cave, a strange city or country, a new locale that becomes the arena for her conflict with antagonistic, challenging forces. But there are as many stories that take the hero on an inward journey, one of the mind, the heart, the spirit. In any good story the hero grows and changes, making a journey from one way of being to the next: from despair to hope, weakness to strength, folly to wisdom, love to hate, and back again. It’s these emotional journeys that hook an audience and make a story worth watching. This view of storytelling has been hugely influential, but in modern stories, there is rarely any such thing as ‘a call to adventure’. In television in particular, there is no time for characters to sit around waiting for a call. This is part of the reason why TV is so often set in settings such as police headquarters, schools and courtrooms — the ‘call’ comes walking through the door every single day. In fact, the call to adventure has always been about young men. It seems youth plus testosterone is a combo required for wanting to go out and save the world. In the name of diversity, it’s probably just as well that this call to adventure story falls out of use. 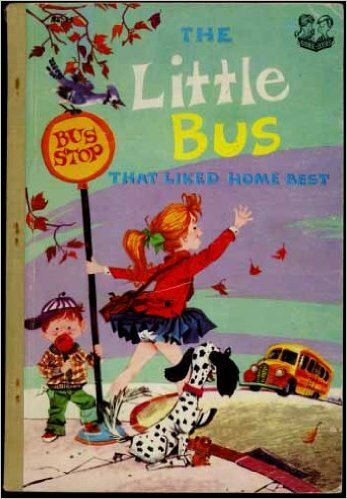 Previous PostPrevious How long is a modern children’s book?